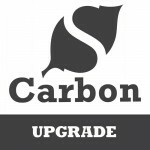 If you have previously purchased the POD Only version of the POD-Carbon RIP, you can upgrade to the FULL Version with POD Support with this Upgrade. Upgrading allows you to use all of the great tools that you are love on your own images too. The Carbon MINI Solo - Upgrade allows you to convert your POD Only license to the FULL Version.&n.. 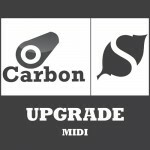 The Carbon MIDI Solo - Upgrade allows you to convert your POD Only license to the FULL Version.&n.. The Carbon MAXI Solo - Upgrade allows you to convert your POD Only license to the FULL Version.&n..